Amazon has unveiled a new device called the Echo Auto which brings Alexa and its smart skills to any car, whether it is an advanced vehicle like a Tesla Model 3 or a dirt-cheap Maruti Alto. 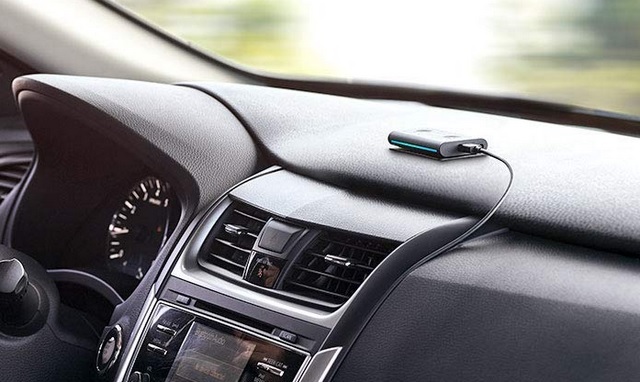 The Echo Auto is a plug-and-play device which connects over Bluetooth with a smartphone and a 3.5mm aux jack with the car’s stereo system. The Echo Auto is available at an introductory price of $24.99 for early adopters and you can request for an invitation here. However, it will eventually go on open sale at $49.99 later this year. The Echo Auto is powered by the MediaTek MT7697 chip developed for low-power smart devices and comes equipped with the Intel Quark S1000 processor for IoT applications. 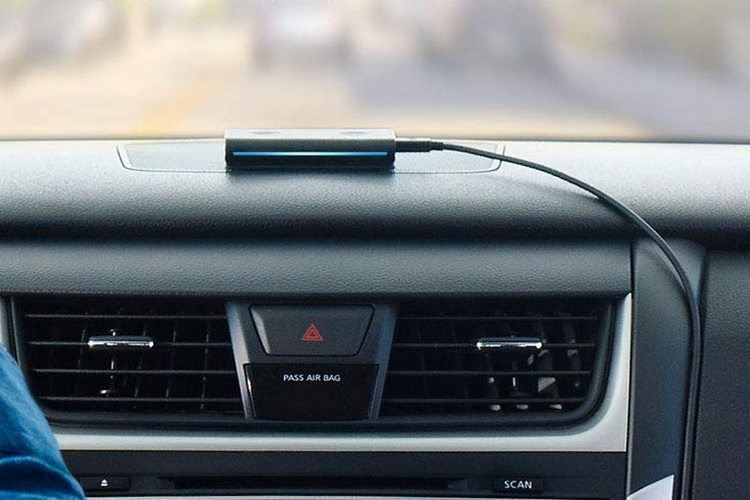 The Echo Auto features eight microphones which allow the device to easily detect voice commands even if there is music playing in the background, or when the car is surrounded by traffic noise or wind disturbance. The device relies on your phone data for connectivity and navigation instructions from Google Maps, music streaming and a lot more. It can be charged in the car via a micro USB cable and takes just a few seconds to boot as soon as the engine starts. Echo Auto would also let users make calls, set reminders, do voice shopping on Amazon, listen to headlines, and audiobooks on Audible, and stream music from platforms such as Spotify and Prime Music. Moreover, users can also set location-based routines such as turning on the smart light, setting the temperature on the thermostat, etc. when they are at a particular distance from home. Echo Auto undercuts Google’s Android Auto and Apple’s CarPlay because those require a supported infotainment system, while Amazon’s offering simply works in any car, which is its biggest advantage, and we see this being a huge success for Amazon in terms of sales.